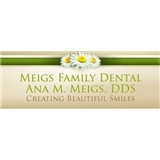 meigs family dental (Chula Vista) - Book Appointment Online! Dr. Meigs listens to you and is concerned about how you feel during your treatment as well as afterwards. I'm so happy that I switched to Dr. Meigs! I know I'm in excellent care!